Pizza Hut is hoping that a sweet pair of kicks will get you to order more pizza digitally. As Madness approaches, the pizza chain will be handing out 64 pairs of “Pie Tops” — a shoe that uses an app to let you order a pizza with your footwear — to “influencers” and a few lucky fans. One of the lucky recipients of the shoes designed by Shoe Surgeon Dominic Chambrone will only need to press a button on the tongue and a pizza order will be on its way. “This whole promotion is intended to simply highlight how easy it is to order pizza online,” said David Daniels, vice president of media and advertising for the Yum Brands chain. Like many pizza chains, Pizza Hut was an early adopter of digital and mobile ordering. Roughly half of the company’s delivery and carryout orders are placed digitally, with 70 percent of its online sales coming from mobile devices. Pizza Hut is trying to grab a larger piece of the mobile pie. The chain has been struggling against its more digital-savvy rivals, and its sales are declining as others grow robustly. Restaurants have found that mobile orders offer customers an easier way to pay, and their average check tends to be higher than those generated from in-store orders. Using the Pie Tops app, customers input their preferred order and set up their profile. Then later, using Bluetooth, they press the button and order a pizza. A confirmation notification will appear on the phone’s screen just to ensure the user intended to order. Pizza Hut also allows customers to order via app, mobile and desktop sites, on a tablet, from Alexa-enabled devices, via Facebook Messenger and Twitter bots, and one-touch reordering online. In addition, the company is planning an online-only pizza deal that offers any large two-topping pizza for $7.99. The promotions come as Pizza Hut begins its sponsorship of the NCAA just in time for March Madness, one of 90 championships the organization hosts. Pizza Hut, the pizza restaurant that serves and delivers more pizzas than any other pizza company in the world, is rolling out the red carpet for an award-worthy pizza event: 50 percent off all menu-priced pizza orders placed online through Feb. 27, including a stellar cast of Supreme, Meat Lover’s®, Pepperoni pizzas and more. To enjoy Pizza Hut’s 50 percent off online offer, consumers can visit Pizza Hut website or download the Pizza Hut Mobile App for iPhone and Android and click on the offer. The offer will be available for all menu-priced pizza orders placed through Pizza Hut’s online ordering systems for carryout or delivery. Deal does not apply to other menu items, tax, delivery charge, or driver tip. Pizza Hut, a subsidiary of Yum! Brands, Inc. (NYSE: YUM), delivers more pizza, pasta and wings than any other restaurant in the world. The pizza restaurant began 59 years ago in Wichita, Kansas, when two brothers borrowed $600 from their mom to start a pizzeria. What started out small has become the biggest pizza restaurant in the world and today operates more than 16,000 restaurants in more than 100 countries serving innovative pizzas, traditional favorites like the signature Pan Pizza, and much more. Pizza Hut also is the proprietor of the BOOK IT!® Program, which is a long-standing children’s literacy program used in more than 630,000 classrooms nationwide. For more information, visit www.pizzahut.co.in. Follow Pizza Hut on Facebook (www.facebook.com/pizzahutindia), Twitter (www.twitter.com/pizzahut) and Instagram (www.instagram.com/pizzahut_india). Pizza Hut considers India to be one of its most important markets and plans to double its store count to over 700 in the next five years, riding the wave of growing popularity of western fast-food in the country, a senior company executive said. Varma said the economy is also looking to turn around and consumer sentiment is picking up, giving confidence to the firm to gradually ramp its presence in the country. He said that a recent study undertaken by the company showed that pizza had become the biggest food category in the country, giving impetus to the company’s growth. While there are several new food brands that are also doing well, not all can sustain for 10-20 years. The more players the better for the category,” he said. Pizza Hut is also focussed on growing its online sales, which has seen a rise since demonetisation in November. “More than 35 per cent of sales comes through home delivery and has grown in the last few years. “Two years back, we started Pizza online ordering through the website and Pizza Hut App. Now, over 60 per cent of home deliveries happen through online as compared to call-centres earlier,” he added. Pizza Hut, the pizza restaurant that serves and delivers more pizzas than any other pizza company in the world, is rolling out the red carpet for an award-worthy pizza event: 50 percent off all menu-priced pizza orders placed online through February 27, including a stellar cast of Supreme, Meat Lover’s, Pepperoni pizzas and more. To enjoy Pizza Hut’s 50 percent off online offer, consumers can visit PizzaHut.com or download the Pizza Hut Mobile App for iPhone and Android and click on the offer. Additionally, pizza lovers can also enter promo code “FEBFIFTY” and the deal will be applied to their order. The offer will be available for all menu-priced pizza orders placed through Pizza Hut’s online ordering systems for carryout or delivery. Deal does not apply to other menu items, tax, delivery charge, or driver tip. If you’re like the typical American, you ate too much and spent too much over the last few weeks. So, even more so than usual, you’re probably trying to stay away from fast food. Too bad: Cheap chain restaurant deals and gluttonous all-you-can-eat promotions have never been more tempting. Why are there so many compelling fast food deals on the table right now? January, you see, always tends to be a peak month for fast food promotions. Basically, the overabundance of promotions is the business response to the natural tendency among consumers to shy away from fast food at the beginning of the year. It’s cold, for one thing, and frigid days mean that people stay home more and dine out less. January also marks the start of new year’s resolutions, when many people are trying to spend less money, eat less food that’s bad for them, or both. As a counteroffensive to consumer will power, fast food marketers—diabolical geniuses that they are—regularly roll out enticing deals at this time of year. Here’s a sampling of potentially resolution-busting bargains available lately. From January 2 to February 12, IHOP is bringing all-you-can-eat pancakes back to the menu at participating locations. Prices vary depending on location, but should be in the neighborhood of the going rate at Denny’s, which has all-you-can-eat pancakes for $4. Pizza Hut, as we noted earlier, is discounting all pizzas by 50% now through January 9 for orders placed online or through the mobile app. “With this quick and easy offer, we’re making sure Pizza Hut fans can enjoy the pizza they love without breaking the bank,” David Timm, Pizza Hut’s chief marketing officer, said in a statement announcing the deal. Beyond combatting the post-holiday lull, Pizza Hut may be motivated to push deep discounting in order to keep pace with competitor Domino’s, which has been made a $7.99 three-topping large pizza deal available seven days a week since last summer. Another pizza player, Papa John’s, is charging only $8 each when you order two large two-topping pizzas, now through January 29 (enter code P1TLG when ordering online). There are also a few tempting $l fast deals around this month: Pretzelmaker is selling pretzels for $1 ($2 off the regular price) every Tuesday in January; Hot Dog on a Stick offers its namesake menu item for $1, also on every Tuesday in January; and Sonic Drive-In has chili cheese Coney dogs available for $1 apiece every day throughout the month. Meanwhile, Taco Bell recently boosted its $1 Cravings Menu with the limited-time introduction of Double Stacked Tacos for $1 each. It wouldn’t be a true restaurant trend without a burger in there somewhere. Dairy Queen fits the bill, by adding the Deluxe Bacon Cheeseburger as the main item in a new Five Buck Lunch option good in January. Normally, customers can only select among the regular cheeseburger (no bacon) or a three-piece chicken strip for the Five Buck Lunch, which comes with a fountain drink and a sundae for only $5. New Delhi: foodpanda, India’s largest online food ordering platform today kickstarted the festive season with the exclusive launch of Pizza Hut’s Triple Treat Box. Available only through online ordering, the Triple Treat Box would come loaded with choicest Medium Pan pizzas and sides in an exciting festive packaging. Priced at INR 599 for vegetarians and INR 699 for a non-vegetarian pack, Triple Treat Box is available on foodpanda from December 20, 2016. The special pack can be ordered online across India. Going by the wave of demonetisation in the country, customers would be able to order this assortment through both mediums of payment- online and COD. foodpanda has witnessed approximately 800 percent growth in revenues in FY 15-16. The company earned a revenue of 37.81 crores in FY 15-16 compared to 4.7 crores in FY 14-15. The company has seen a 40-50 percent spike in the order numbers during the demonetisation phase which is further strengthened the brand presence for the company. Fast food giants are increasingly joining online delivery networks, making it easier for people to get their hands on fattening burgers and pizzas, amid a worsening obesity epidemic. 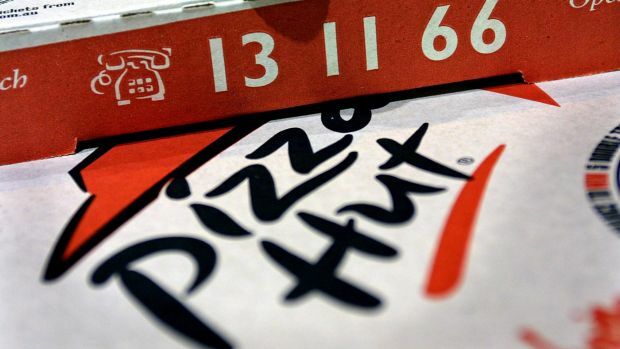 Australia’s largest online food ordering platform Menulog has added Pizza Hut to its growing list of fast food chain partners, with 250 stores now live and 70 more close to joining. Competition between food delivery companies continues to grow as some invest millions to meet demand. It’s a major coup for Menulog, whose website already boasts more than 1000 stores from national chains such as McDonald’s, Red Rooster and Subway. 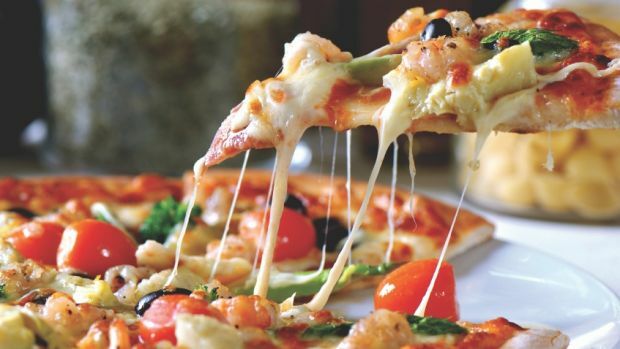 “Delicious Pizza as a cuisine type already makes up 30 per cent of all orders on Menulog, so to have Pizza Hut is exciting because we can offer greater variety and different brands,” said Alistair Venn, Menulog’s managing director. The pair have been in talks for three months. In that time the chain has been snapped up by local private equity firm Allegro and has acquired the ailing Eagle Boys franchise. Pizza Hut is increasingly relying on online tools and aggregators to grow its business. “This new partnership is a great way to give our customers greater access to our largest ever network of stores across Australia,” said Lisa Ransom, Pizza Hut’s chief executive. But the growth of fast food chains delivering unhealthy foods straight to their customers’ doors is concerning health experts who say it undermines initiatives to tackle Australia’s obesity epidemic. New figures from the Australian Institute of Health and Welfare show the national rate of overweight and obesity among adults has increased to 63.4 per cent, raising questions about the efficacy of healthy eating campaigns. Menulog says pizzas is the most popular item on its food ordering platform. “The problem with eating food you haven’t cooked yourself is that it’s often higher in saturated fat, salt and sugar,” said Jane Martin of the Obesity Policy Coalition. Experts blame the growing obesity worldwide on the ready availability of cheap unhealthy food. Experts are calling on governments to commit to a multi-pronged strategy, which includes a tax on sugar and restrictions on junk food marketing. “A sugar tax on sugar-sweetened beverages as proposed recently by the Grattan Institute would be a worthwhile start,” said Leanne Wells, head of the Consumers Health Forum. But Mr Venn said Menulog was all about providing choice for customers and the fastest growing category was vegetarian, which has shot up by 1000 per cent year on year. He said salads and health foods were the next fastest growing categories. “It’s about giving customers choice, whether they’re looking for a guilty treat every now and then or looking for a healthy option,” he said. This blog gives the latest news and updates about pizza hut latest news, Offers and deals.